One Holiday Down, More to Come! Admissions & Records Starts Early! 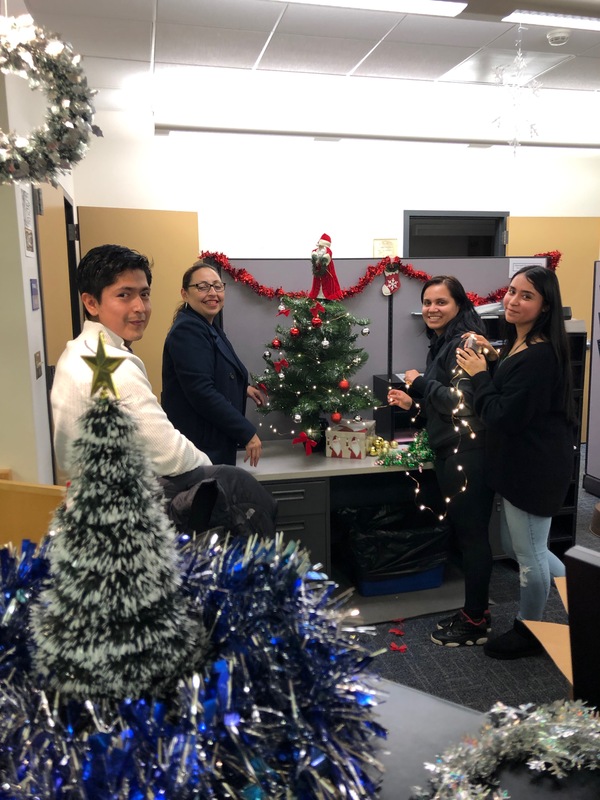 Even before Thanksgiving, Susana de la Torre and staff members Marisol Roque and Dayana Juarez in Admissions and Records were getting out the winter holiday decorations to hang, with some help from Birhon Quizhpe. Welcome back to work until the next holiday and the new year!